This SUPER space saving and surprisingly sturdy DIY shoe rack is part of our New Year de-cluttering effort, starting with our closet shoe storage. How to utilize the depth of a standard closet for the most efficient easy shoe storage. Because we do not need to see BOTH shoes on a shoe storage rack, they can be placed one behind the other. 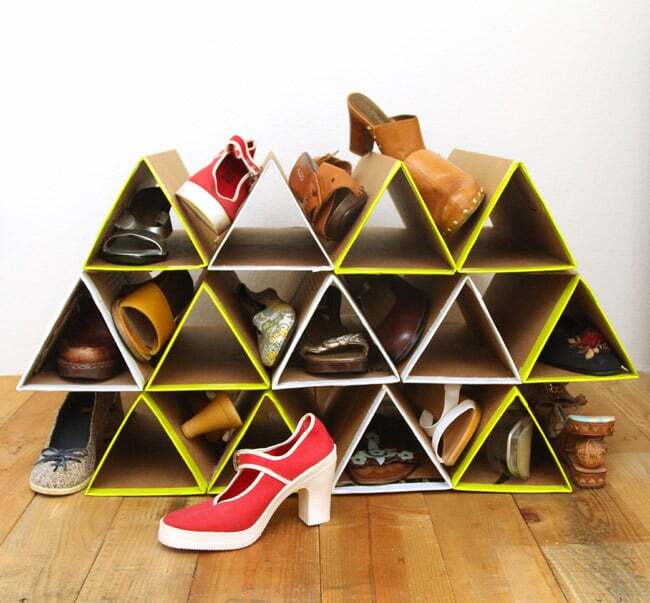 Our DIY cardboard shoe rack is designed to hold 2 shoes, one behind the other. 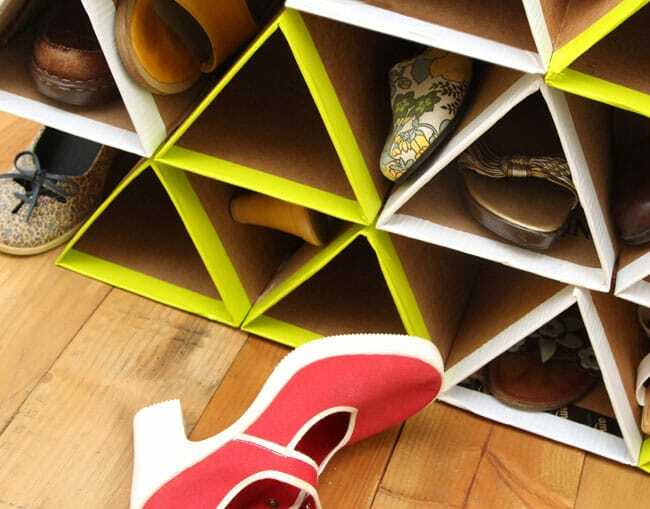 This durable DIY shoe rack is entirely made of cardboard. When you move, just recycle it and make a new one for your new place. It is great for people who move a lot and people who live in small space homes or college dorms. 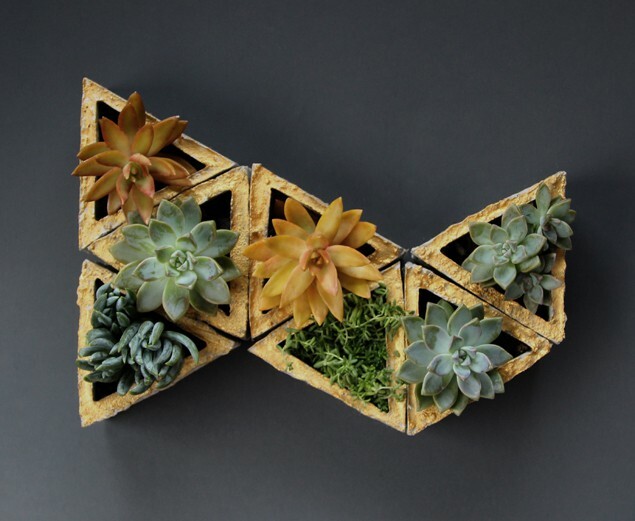 You probably know that I am inspired by modular geometric designs from this post – DIY concrete geometric planters. Cut a piece of cardboard to the size you need, mine is about 21″x24″. Score it into 3 equal sides. 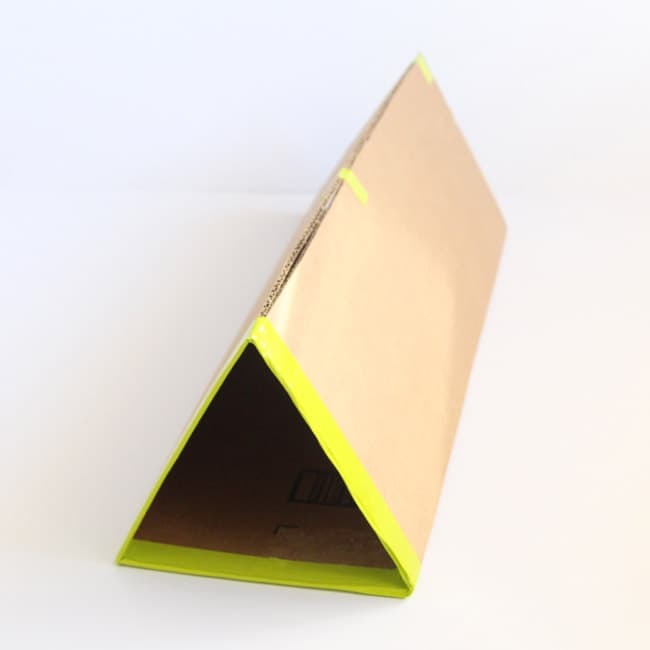 Use a piece of duct tape and tape the piece into a triangular tube like shown above. Step 2: create more units: one for each pair of shoes. I made 13 modules total. 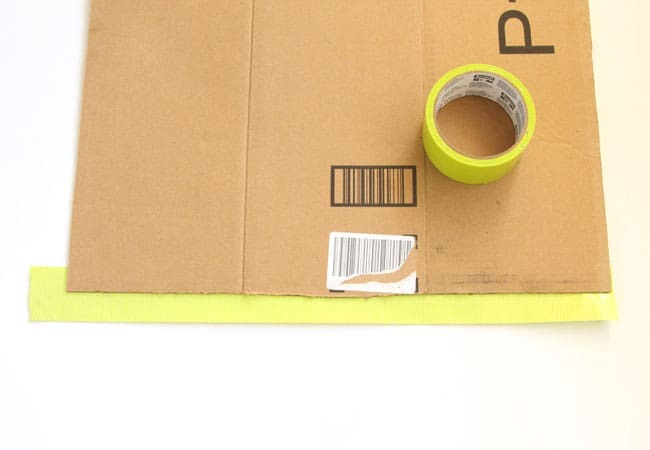 Glue or tape each row onto thick cardboard so they stay together. 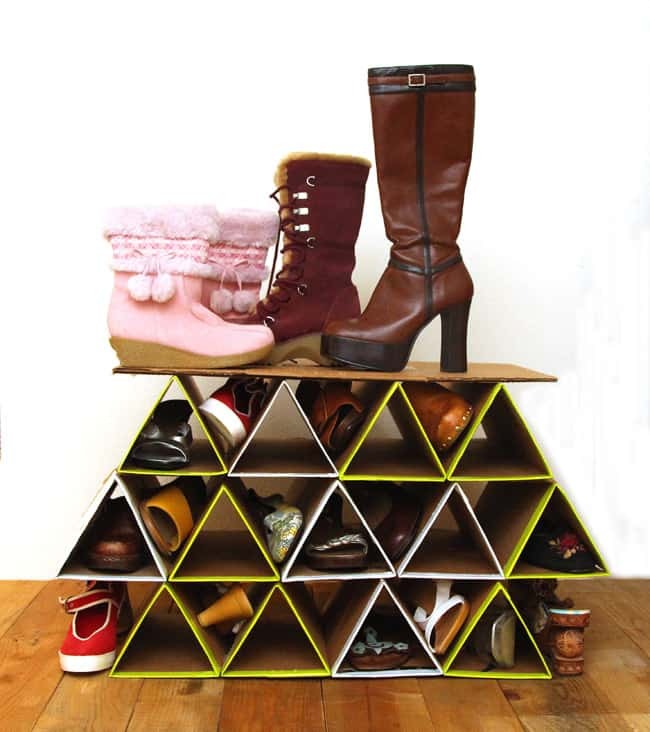 Glue each row of shoe storage units onto a piece of cardboard as shown below. Stack the rows up. Our closet shoe storage rack has alternating stacking rows of 4,5, and 4. 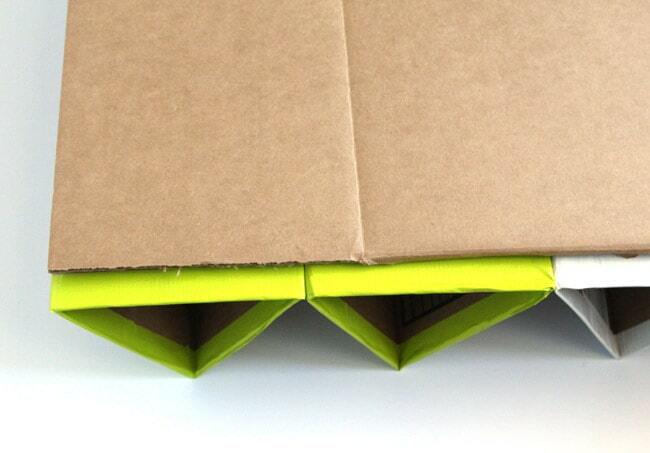 Slide each pair of shoes in a triangular opening, one in front of the other. I also put an extra piece of thick cardboard on top of the shoe storage rack to put some odd sized boots. Now we have a cool and compact DIY shoe rack that holds more shoes in a small area than most shoe storage rack you can buy! Plus it fits inside our closet perfectly. I love the possibilities of cardboard as a creative material! Like this set of furniture made with cardboard and duct tape! Happy organizing! See you next week! this is a very cool idea ! I made a shoe rack from a pallet. 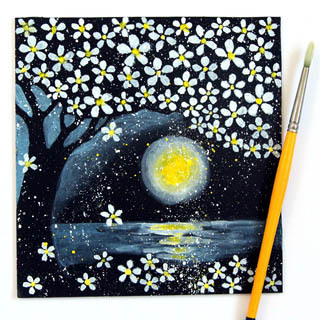 That was the beginning of my blogs, so even a small picture. This is a really cool idea. The options for decorating that rack are endless — tape, paint, adhesive drawer-lining paper, etc. That’s such a neat idea, especially for people who move around a lot, or students. What a neat idea! We have so many shoes and such this would be a great idea! I’d have to make a few but I love it! This is such a great idea. We have so much cardboard sitting around, too! This is brilliant! I’m always looking for better organization methods. Thank you! So gonna make my roommates do this for me! What a cool idea! We definitely could use some better storage options for our shoes! That’s such a fun idea! 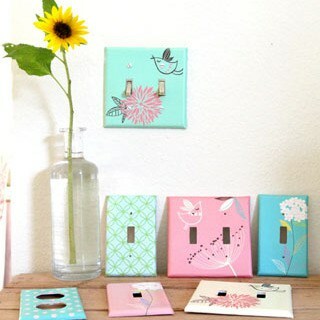 I love reusing materials! Great shoe rack. My daughter needs one. She has a shoe obsession. I can’t believe those are cardboard! They are totally cool! 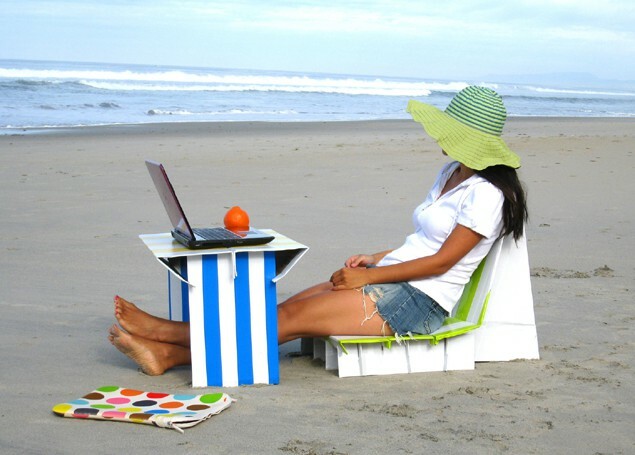 Love the beach chair but I am thinking they will disintegrate if the water hits it! 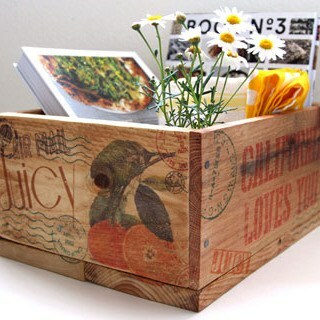 That is such a cool #DIY post! I love it! I need to see if my kid and I can do this together. We need to organize our shoes! LOL! This is pretty rad! I have a ton of cardboard that I’ve been trying to find a use for. This is awesome! What a killer DIY idea! totally pinning this to do it in my insanely messy closet!! Thank you so much! I need to run home and make this immediately. Our shoe situation is getting out of control! 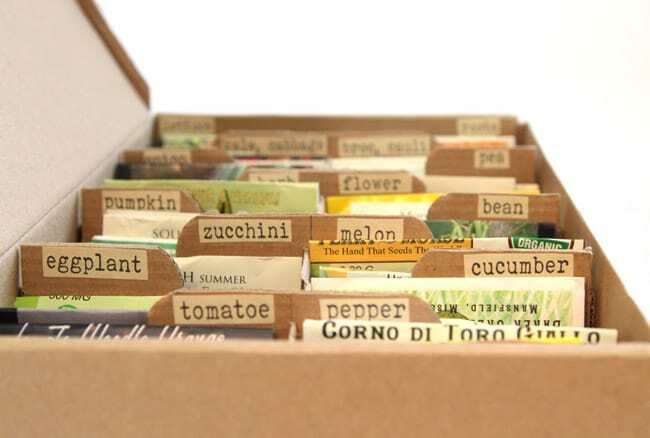 What an amazing way to organize and reuse cardboard! Thank you for sharing! This is a cool idea! So easy to make and very easy on the budget! Actually we were looking for a shoe rack since the year started but cannot find the right one. This is so creative, I love it! As many boxes the UPS man drops at my house, I can definitely make use of them. I love the shoe rack and the desk! that’s actually modern and cool! What a great idea! I would’ve never thought to use cardboard! Love this shoe rack, thanks for the instructions! I’m in the process of making it now and thought I’d give people a heads up about a problem I ran into. After an hour or so the duct tape on the first triangles I made started pulling up and I had to go back over parts of it with ‘packaging tape’. 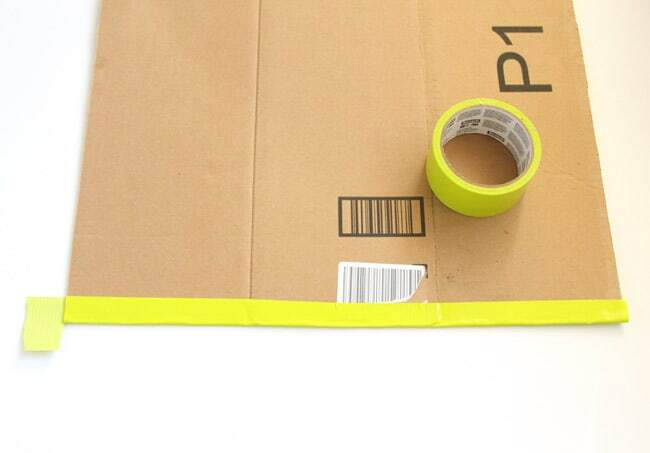 You may want to keep some packaging tape on hand when making this. Just moved and have ALOT of moving boxes. Definitely need more space for my shoes even with an over the door shoe rack I still have spillage. This is going to be a weekend project. Thank you! 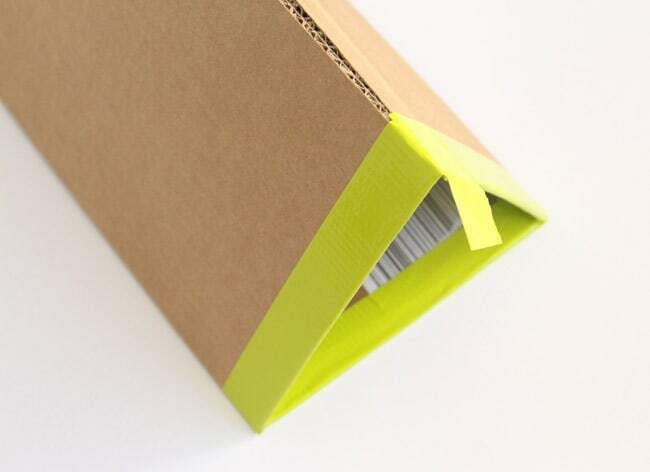 What a great idea, love it, now just have to chase up some cardboard!!!! !